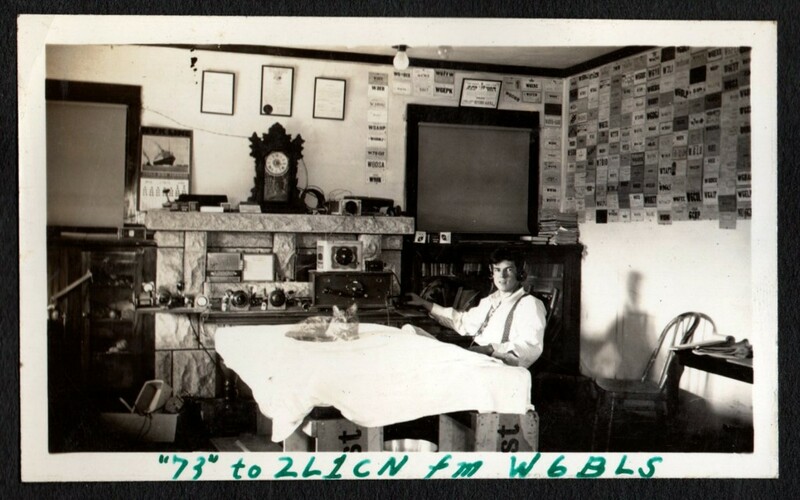 We recently catalogued several photograph albums from Vince McMinn of Wellington who was an amateur radio enthusiast in the 1930s. This photograph really caught our imagination. What at first looks like a ‘ghost cat’ is actually a bit of simple trick photography. One negative was laid over the top of the other during processing. So a negative of a cat was laid over the negative of the man in the room, creating a ghost like image of the cat. This is how these things were done in the days before computers!